Head to Penns Woods Winery for a showcase of luxury sports cars, ranging from classic to modern! Enjoy live music, local wines, food, vendors, wine seminars and vote for your favorite car! From 2pm - 3pm, guests can get a 45 minute vineyard tour, guided by the winemakers themselves. Tickets are $16 in advance, $18 at the door and include entrance into the event, one glass of wine and a voting ticket for "Best In Show,"
The 24th Annual Peach Festival begins with a parade on Broad Street at 9 am, and the festival concludes at 4pm. Many activities are centered around Main Street. Entertainment is scheduled throughout the day. There are activities for children, a local artist exhibit, historical exhibits, a peach pie contest, crafts, music, food, games, and of course – Peaches! 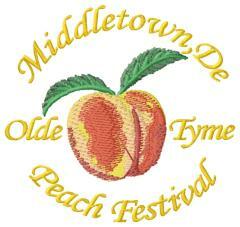 The Peach Festival is a rain-or-shine event! Visit the Blue Ball Barn at Alapocas State park for a unique folk experience! Celebrating Delaware&apos;s native fruit, the Pawpaw, festival goers can learn more about this little known plant and its importance to the Zebra Swallowtail butterfly through hikes, informative displays and tastings. 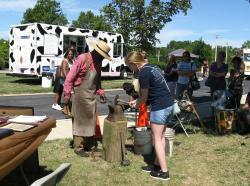 The folk arts are celebrated through folk craft demonstrations, storytelling and musical performances. This family friendly event is FREE with paid park admission.